A YOUNG man who admitted a series of offences including assaulting a woman to her severe injury has been told by a sheriff: “Your record is appalling at the age of 22 and you have caused your family no end of grief for years and years. And he told Dayne, who is currently serving a sentence which will keep him in prison until February, that he would give him a chance on his release which would mean he would have to come back before him a couple of months after he was freed to show he could comply with the sentence. Earl was given a community payback order with conditions of supervision for two years and 200 hours unpaid work, as well as paying compensation of £500. The sheriff also imposed a non harassment order for 12 months. 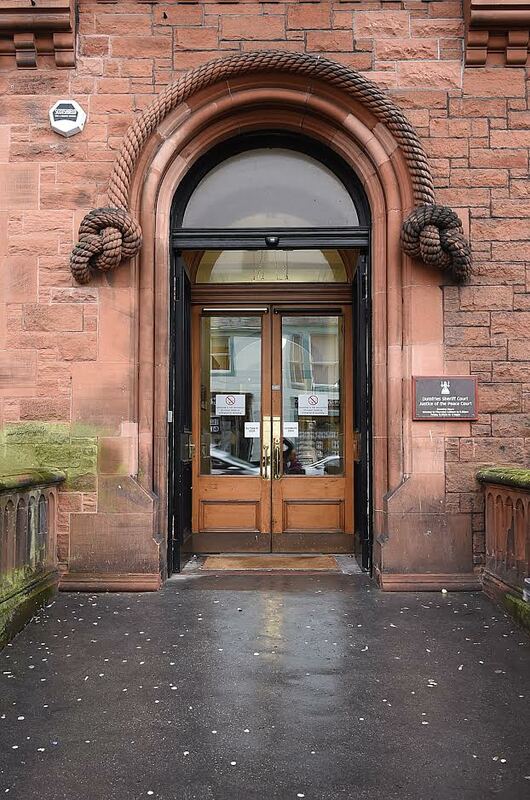 Earl, described as a prisoner at Barlinnie, had admitted assaulting the woman at a petrol lling station at Dumfries in January by striking her on the head to her severe injury and also behaving in a threatening or abusive manner, shouting and swearing at her at Caledonian Place in Dumfries between August and November last year and smashing her mobile phone against a wall. In addition, he pleaded guilty to breaching a bail condition not to communicate or contact her by behaving in a threatening or abusive manner and shouting and swearing at her at the Eden Music Festival at Raehills in June. He had claimed that the assault had been his reaction when she had bitten him and the court had heard that he was very ashamed of himself at the assault.